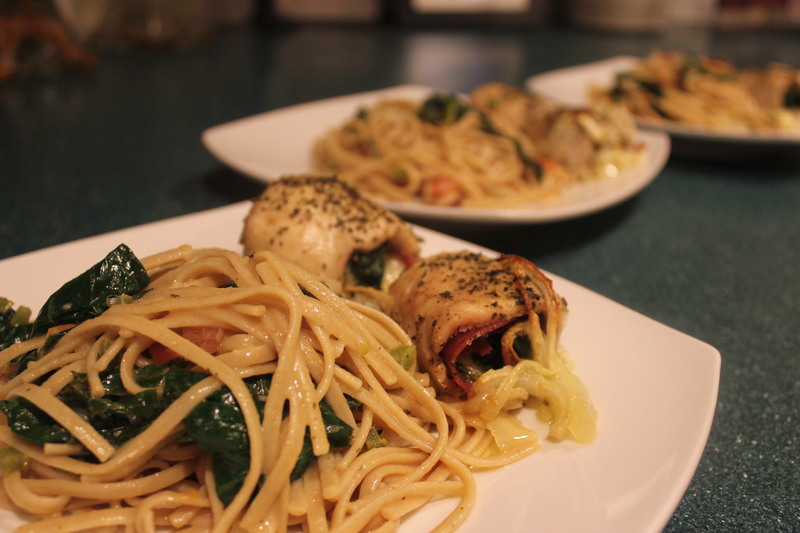 This was a great meal to serve on a busy work day; it also takes really no time to cook as well. You could use whatever meat you have on hand, same for the cheese. 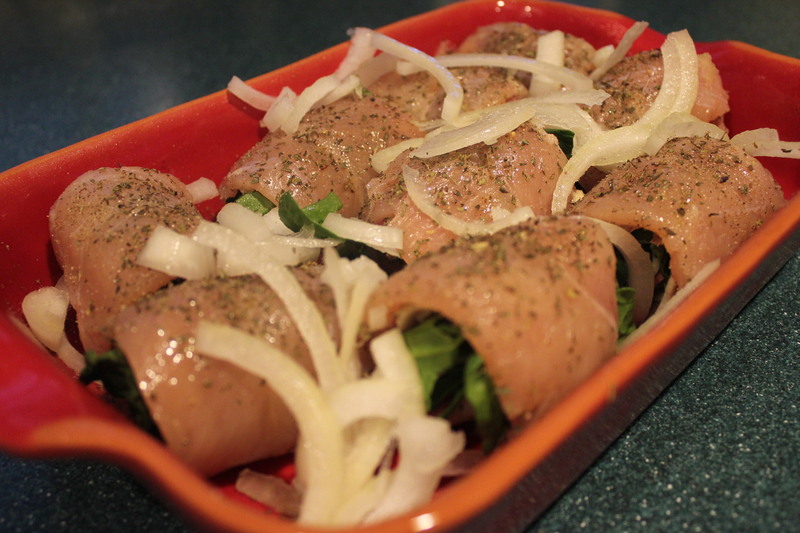 I have made it my mission to make great meals with what I have and to not require a run out to get extra ingredients. I constantly amaze myself at the swift easy and elegant meals I can create with just a bit of imagination. 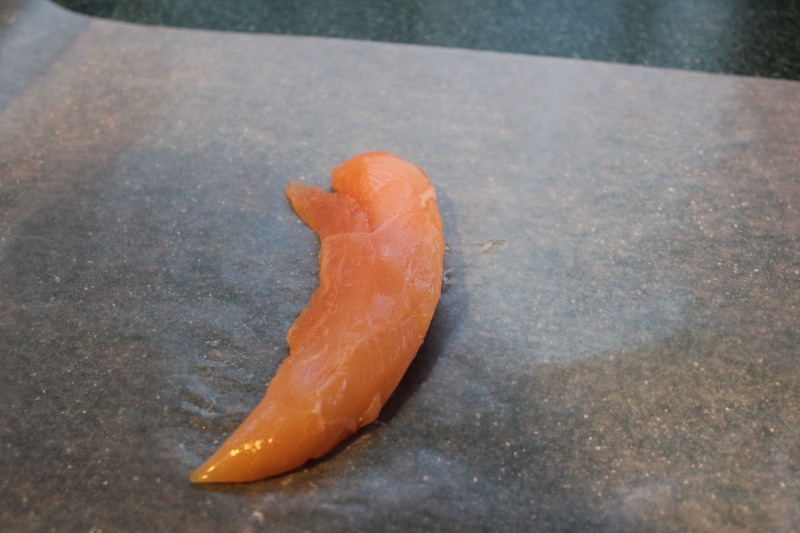 I had chicken tenders for this recipe, who would think to stuff chicken tenders? They are so small, and will cook really fast! This is what makes this a great meal for a fast and easy dinner. They are fast and easy and tasty, what more could you ask for? 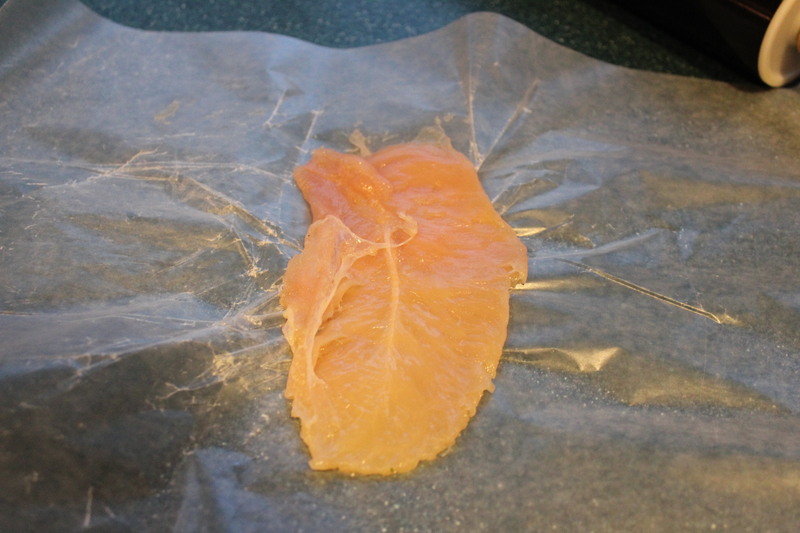 Take the chicken, remove the Vein at the top, using wax paper and a roller flattens the chicken. 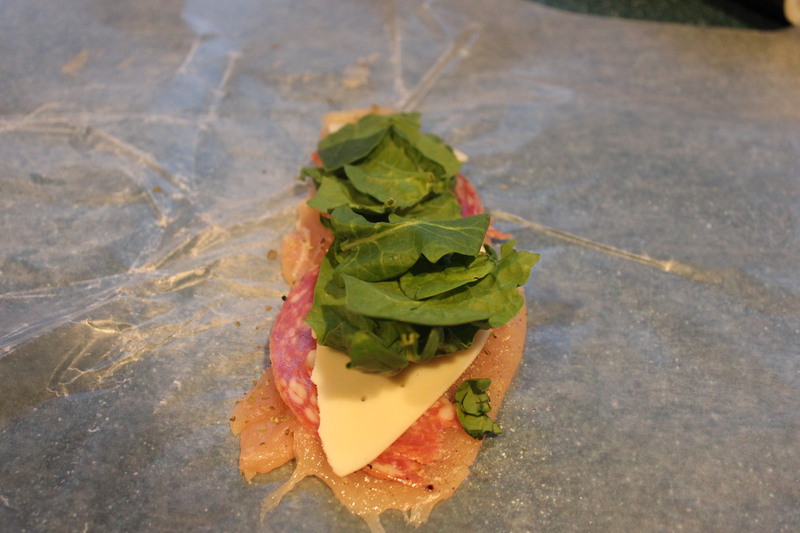 Sprinkle with the spices, top with the meat and cheese and roll up. 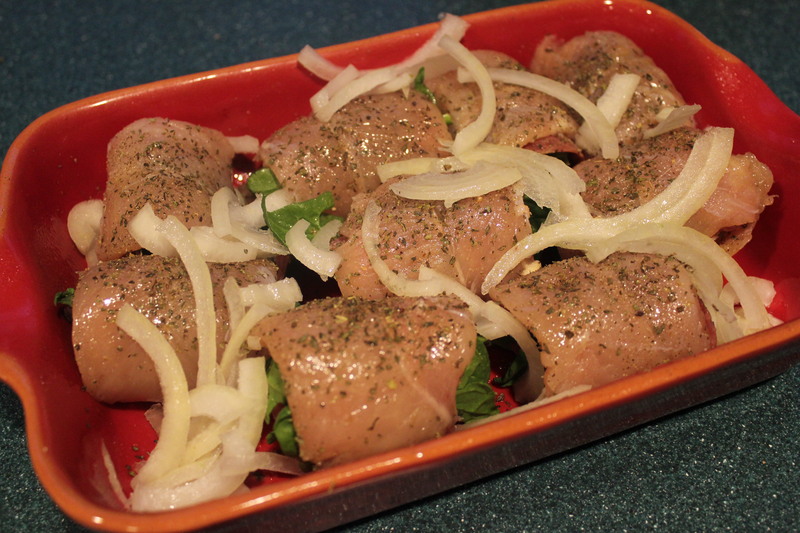 Sprinkle with salt and pepper and add onion, cook at 325 degrees for 15-20 minutes. While it is cooking make the pasta according to the box directions. Add some olive oil to a skillet, once hot add the jalapeño, onion and cook until soft, add the spinach and toss with the pasta. 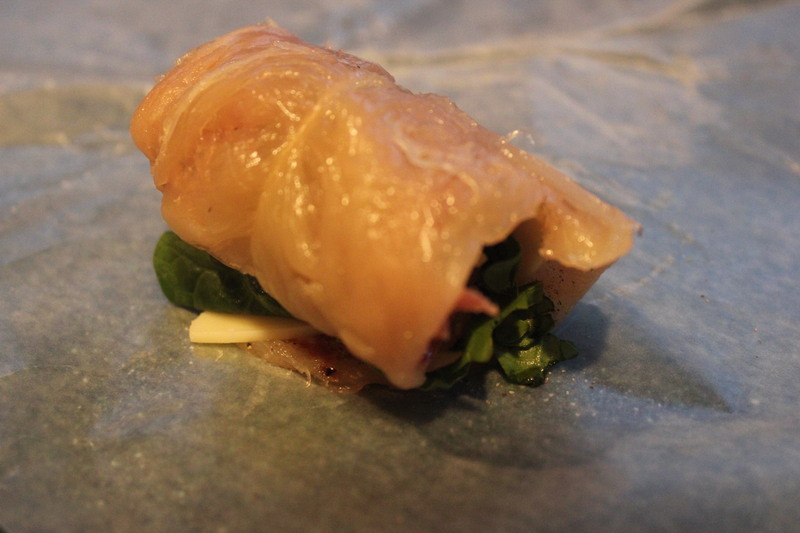 I have to say this was really tasty for a fairly easy meal. 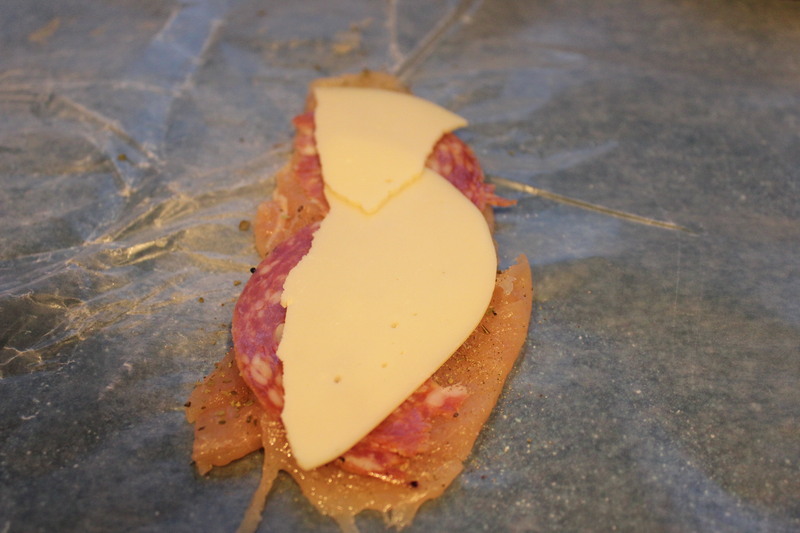 This looks lovely mate… provolone and hot calabrese .. doesn’t get any better than this! 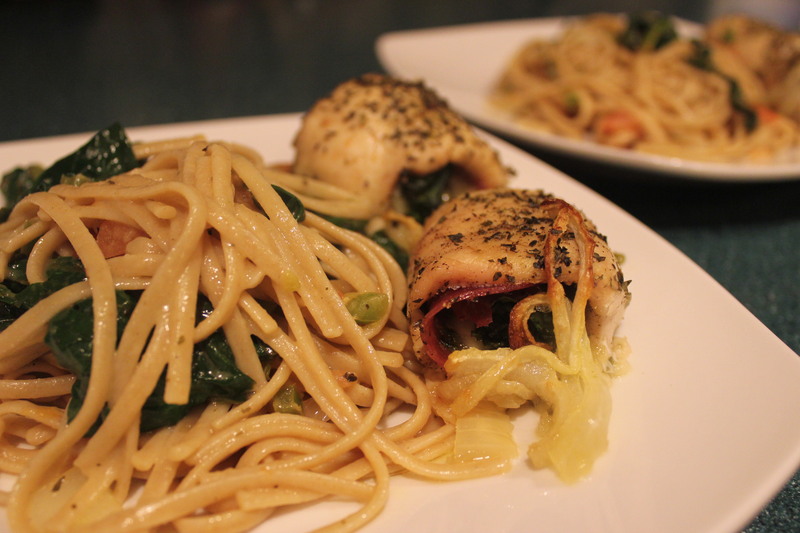 I have to share this on my Facebook page nightly “What’s for Dinner” post… the fans will love it… pop around!! Thank you for the comment and for Sharing! I will certainly stop by and see what you have to share! 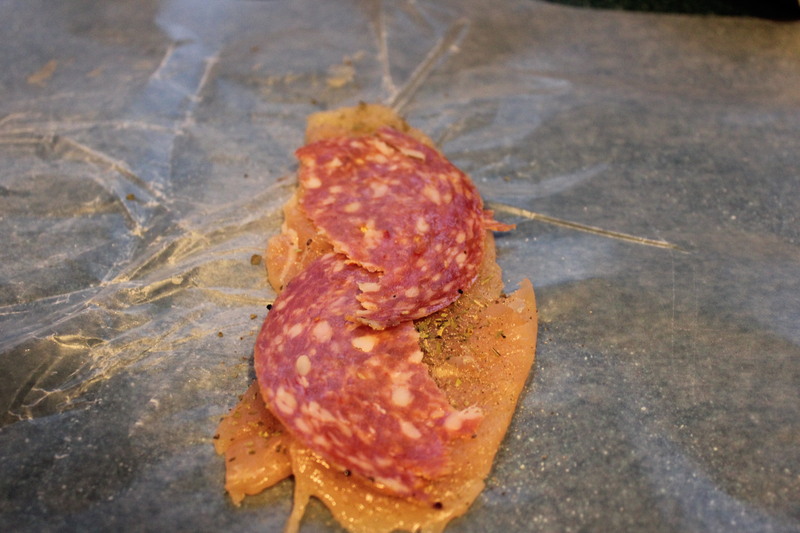 I love salami calabrese, it never makes it into an actual recipe though, my mouth tends to intercept it first! We love it too, and have a ton left over from A dinner party we had. I am trying to come up with ways to use it. I had a similar experience with pate after Christmas! I saw your recipe to use it up and it looks lovely! I may have to try that! I love Pate!